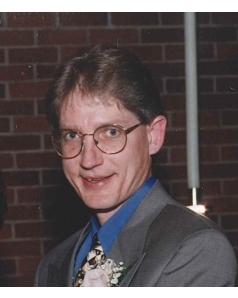 Charles Westley Coulter, 57, of Duncan, Oklahoma passed away Monday December 3, 2018 at his home in Duncan. A memorial service will be held by the family Saturday, December 15, 2018 at 11:00 AM at All Saints' Episcopal Church with Rev. Susie Lindley officiating. Charles Westley Coulter was born on September 20, 1961 in Prague, Oklahoma to Dennis and Agnes Marie (Opela) Coulter. Charles attended Prague High School graduating in 1979. He went on to attend Central State University in Oklahoma City, Oklahoma from 1980 to 1982 and Cameron University in Lawton, Oklahoma from 2000 to 2002, obtaining his Bachelor’s degree. He drove a delivery truck for J B Hunt from 1992 to 1999 and was general manager for Murphree's Wine and Spirits from 2000 to 2018. Charles would marry the love of his life, Candayce Melea on March 21, 1998 in Duncan. He was an active member of All Saints' Episcopal Church, holding several positions in the church as Junior and Senior Warden, Eucharistic Visitor, and Lay Pastor. He enjoyed golf, catch and release fishing, shooting and being active in the church. Charles is survived by his loving wife of twenty years, Candayce Coulter of the home; his brother, Kenneth Coulter of Duncan; his father, Dennis Coulter of Prague, Oklahoma. He was preceded in death by his mother, Agnes Coulter. Cremation arrangements were provided by Don Grantham Funeral Home.